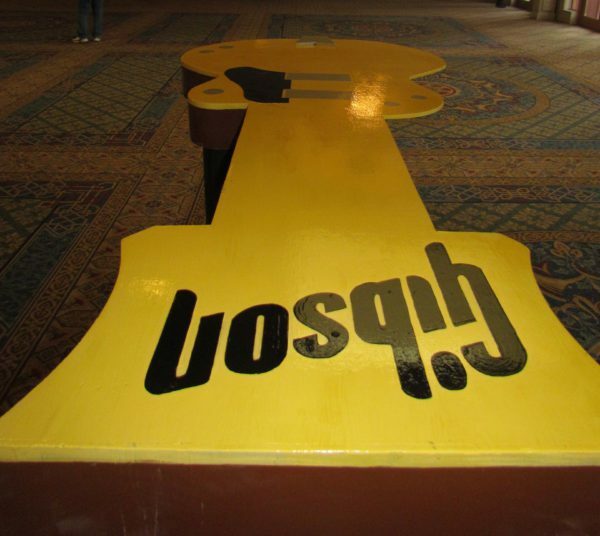 Outside of the ballroom awaited our 80’s Flashback Double Entry. 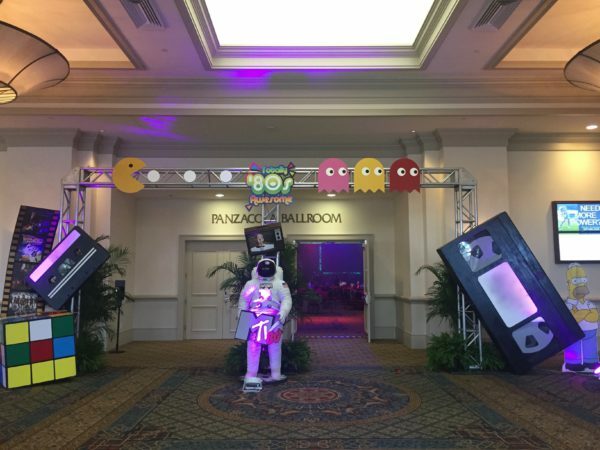 Our double walk-through truss entry was surrounded by elaborate, memorable 80’s icons from oversized VHS and audio cassettes, to giant Rubik’s cubes, to Homer Simpson. The title overhead read, “Totally Awesome 80’s” while characters from the arcade game Pac-Man ran across the top. 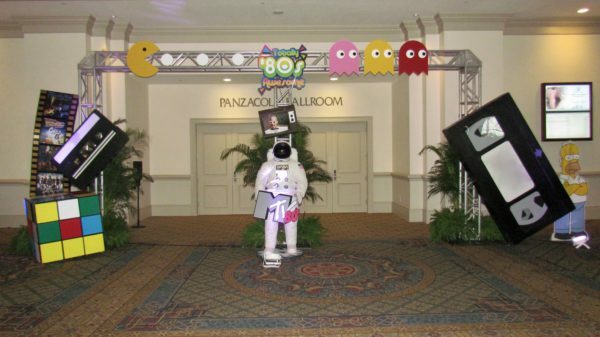 In the center of the entry was the unforgettable MTV Moon Man with an authentic 1980’s-style TV set displaying a graphic of Max Headroom sited overhead. 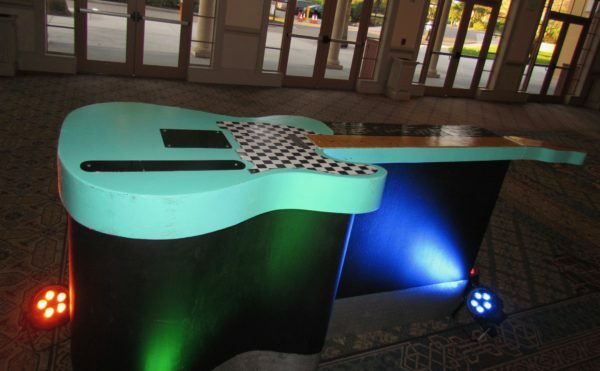 Two of our Satellite Guitar Bars were placed in the foyer where guests could get beverages before entering the main event. The 9’ bars served both a decorative and practical purpose. 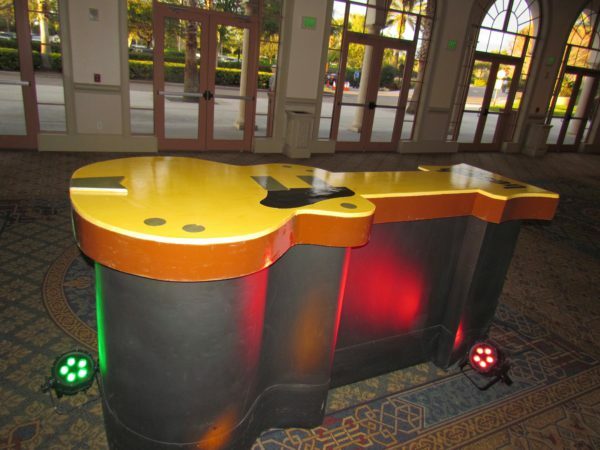 Inside of the ballroom was our Pac Man Arcade Food Station. 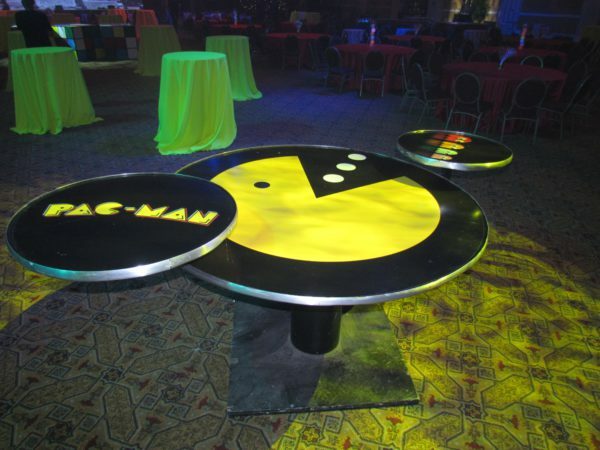 Table tops of varying sizes were clustered in a multi-tier formation with replicas of different Pac-Man characters. 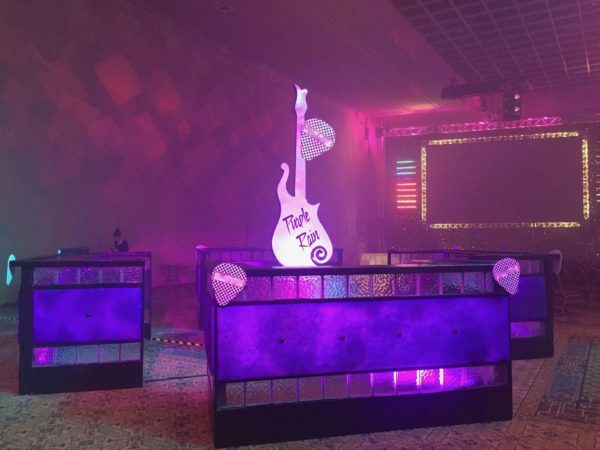 The star of the show was our brand new Purple Rain Bar. Each of the four, back-to-back, inner-lit glass block trimmed bar surrounds featured lush, purple velvet panels. 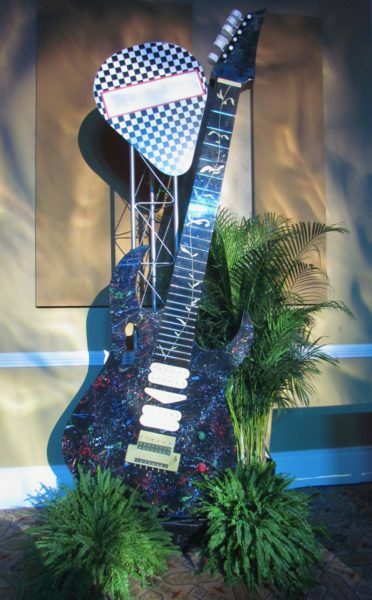 The center focal point was the oversized recreation of the “Purple Rain” guitar set atop a metal clad pedestal with a translucent glowing surface. 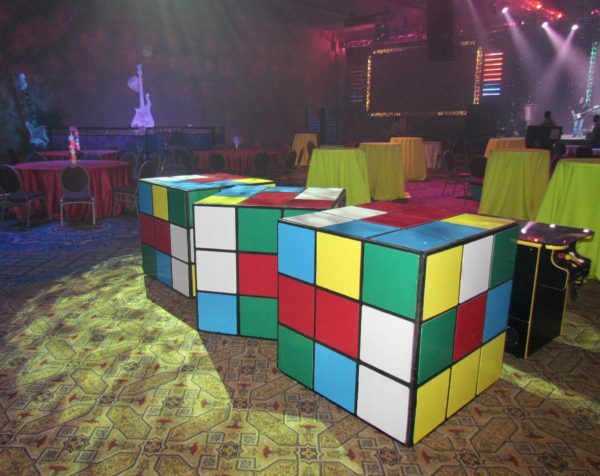 Our Rubik’s Cube Buffet was comprised of three colorful table-height cubes that were set corner to corner to create the ideal themed food service station. 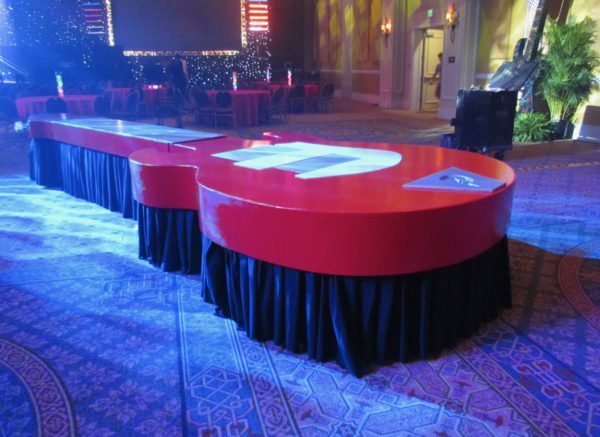 Our 21’ “Ultimate Axe” Buffet painted in fire engine red offered another double-sided buffet space. 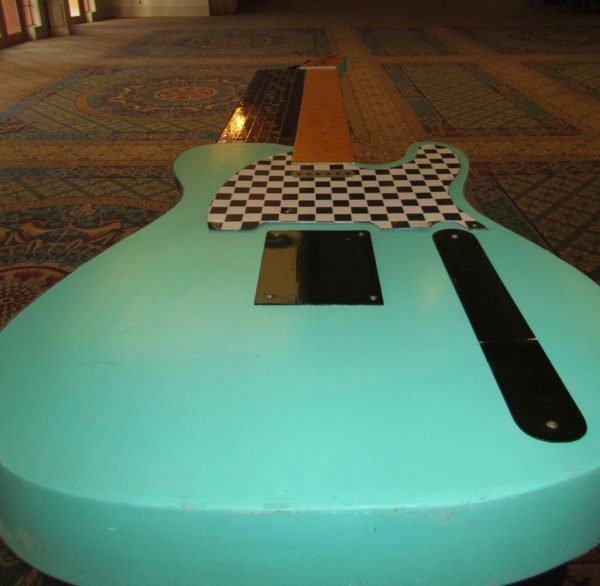 A variety of 12’ Guitar Perimeters enhanced the exterior walls of the ballroom. 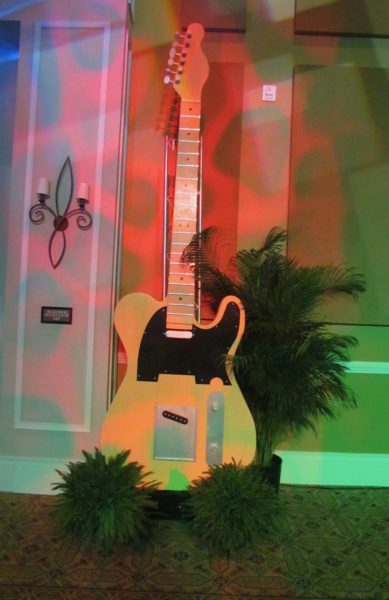 Customized, branded guitar picks were placed at the top of each guitar. 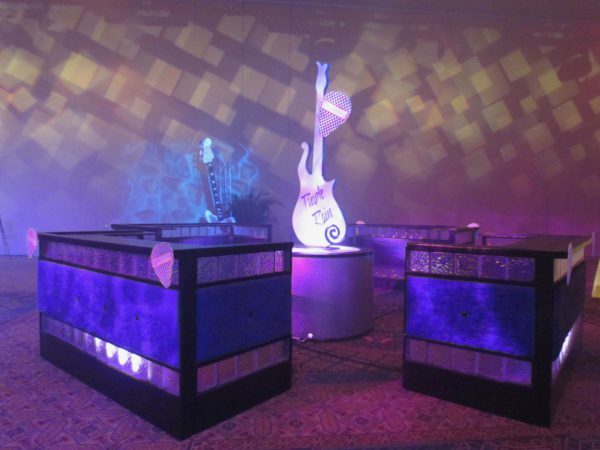 MKE was able to create a rad 80’s ambiance that featured several recognizable elements. 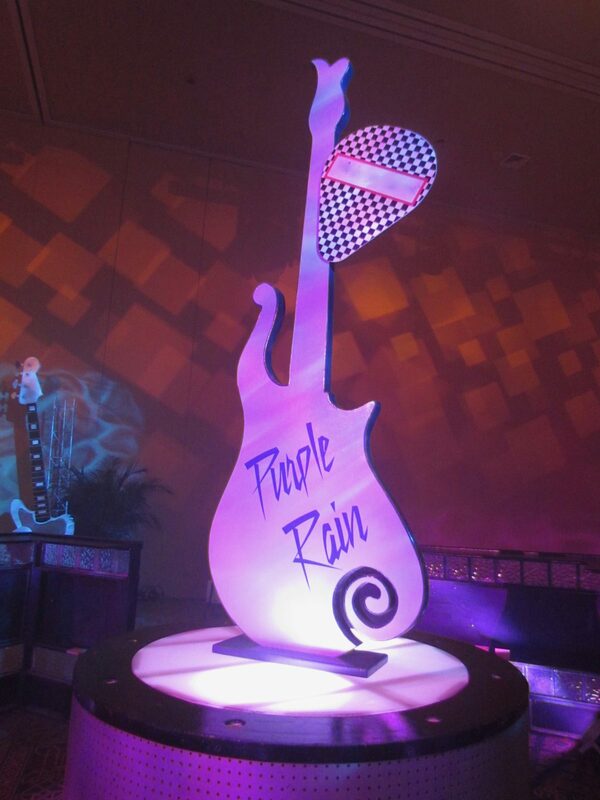 It was also the ideal event in which to unveil our new Purple Rain Bar.